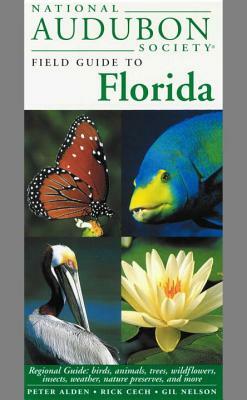 The most comprehensive field guide available to the flora and fauna of Florida--a portable, essential companion for visitors and residents alike--from the go-to reference source for over 18 million nature lovers. Peter Alden, principal author of this series, is a birder, naturalist, author, and lecturer. He has led nature tours to more than 100 countries and is the author of books on North American, Latin American, and African wildlife. Peter organized an event called Biodiversity Day, the first of which took place in his hometown of Concord, Massachusetts. Rick Cech, author of several sections of this guide, is a nature writer, photographer, and founder of the North American Butterfly Association's newsletter, The Anglewing. Gil Nelson, regional consultant and author of the habitats, flora, and parks and preserves sections of this guide, is a naturalist, writer, and educator who has contributed articles to many national and regional magazines. He lives in Tallahassee, Florida.